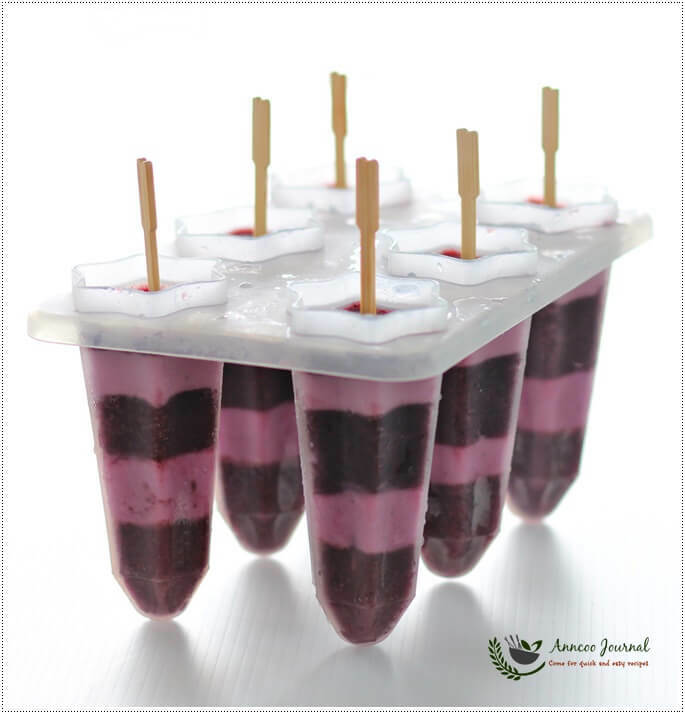 These refreshing Blueberry Yogurt Popsicles are considered healthy and can be made days ahead. It is always a welcome frozen treat for adults and kids alike. You can substitute the blueberry with strawberry, rock melon or even oranges and adjust the sugar to your taste. As the layering can be quite time consuming, you can just simply combine all the ingredients and pour into the moulds, if preferred. 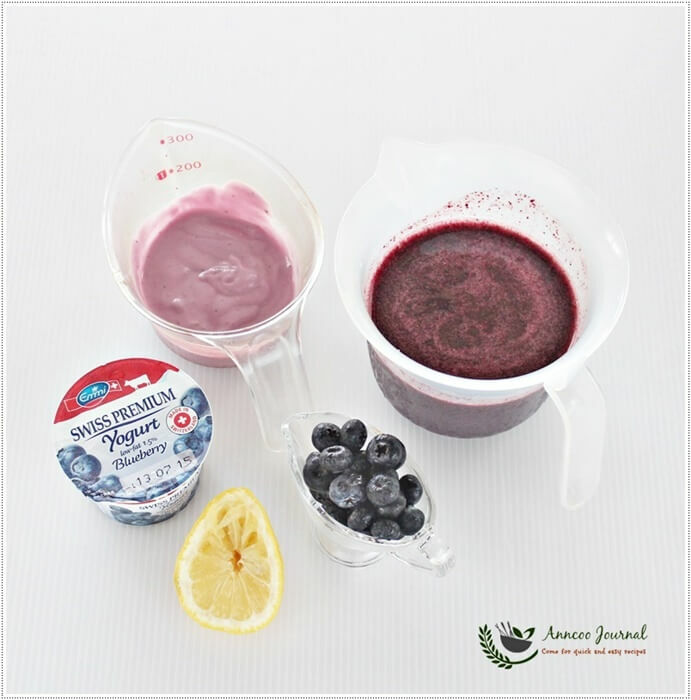 Place blueberries, lemon juice, water and sugar in a blender and blend until smooth. 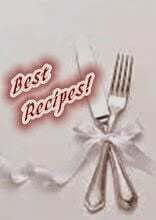 Place blueberry yogurt, lemon juice, water and sugar in a cup or bowl and whisk till sugar dissolves and combined. 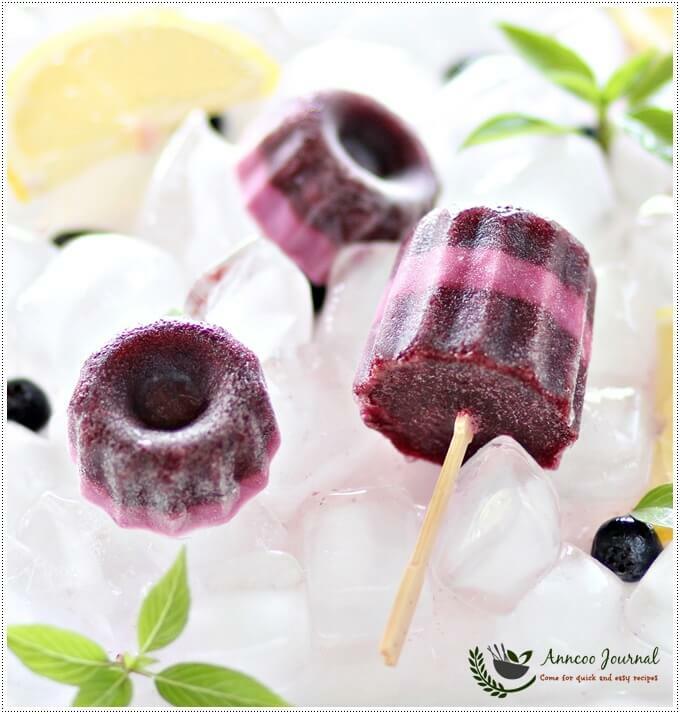 Pour alternate layers of the blueberry and blueberry yogurt into popsicle moulds, allowing each layer to freeze for 30 minutes or partially frozen before adding the next layer. Once all the layers are added, insert skewer sticks in the center. Freeze the popsicles for at least few hours or overnight before serving. Ann, I want a popsicle! I must try this recipe though I don't have popsicle moulds. the layers make it look so pretty! This is absolutely much needed in the afternoon heat! 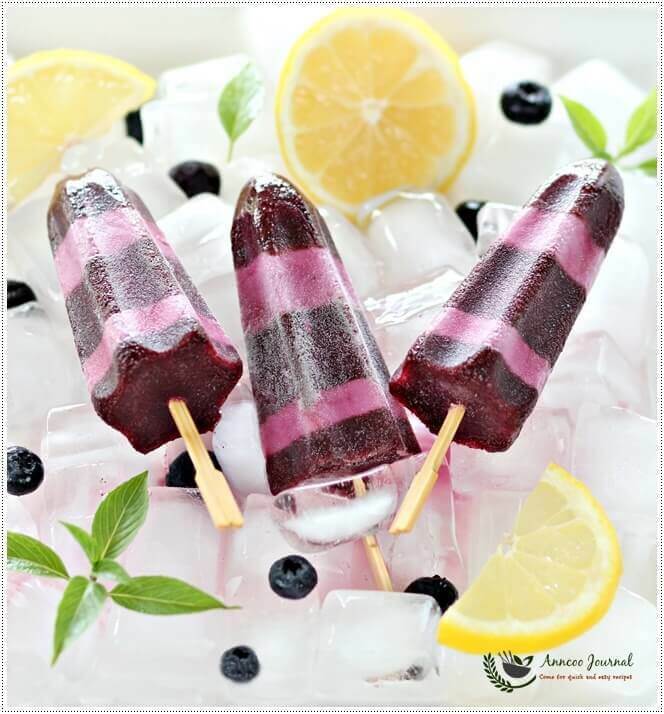 These lovely colours Blueberry Yogurt Popsicles are definitely great treat in our hot weather ^-^! and they are a morse healthier choice too! Thanks foe sharing this to LTU! Love the layering and the colour!! I am eating some strawberry joghurt popsicle now! Have to make some more too, maybe this time with blueberry!! Yours look very beautiful, Ann. These yogurt popsicles are so easy to make and very pretty to enjoy! Sweet! Hi- 5! I made blueberry frozen yogurt dessert too! Love the layerings! 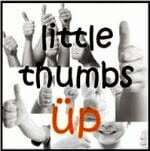 Thanks for sharing with LTU!